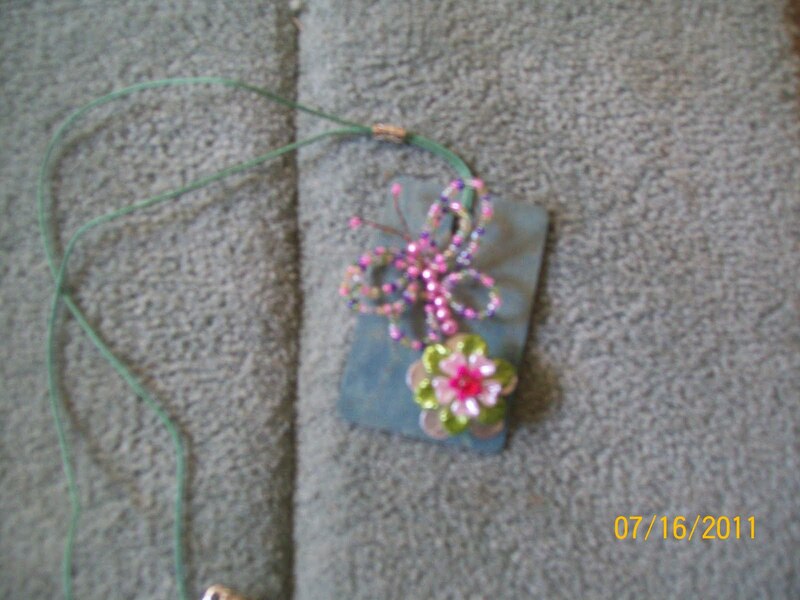 I like this necklace because it is whimsical and fun. I made the butterfly using the instructions from Celeste (thanks Celeste). 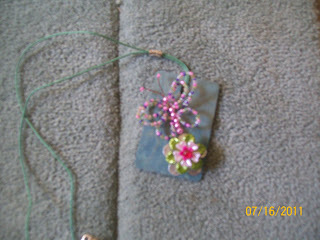 The backing is the formica chips from Lowes and the flower was made using stackable scrapbook flowers.